This period of transition for the colony demonstrated that, even against an horrendous political and economic backdrop, St Ives still had the ability to attract distinguished artists and to inspire them to produce seminal works of extraordinary diversity. 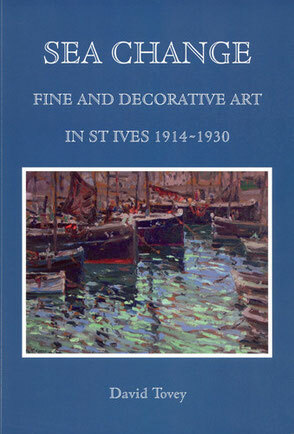 The period started so promisingly with no fewer than fifty American artists working in St Ives in the summer of 1914 - a testament to the extraordinary reputation the colony had gained on the international stage as a centre for both the practice and teaching of landscape and marine painting. The outbreak of War saw a complete sea change in personnel in the colony, as artists such as Borlase Smart, the New Zealanders Herbert Babbage and Herbert Fitzherbert and the American Elmer Schofield enlisted, and the book features the first extensive review of Borlase Smart’s paintings of the Western Front, thirty-two of which are owned by the Imperial War Museum and fourteen by Plymouth City Art Gallery. War paintings by George Bradshaw, Charles Bryant, Ruth Simpson and William Parkyn are also featured. The hostilities also resulted in further foreign artists settling in the colony. These included the New Zealander, Frances Hodgkins, who called her time in St Ives her "experimental years", as she was forced by the outdoor sketching ban to concentrate on figure subjects. Two Belgian refugee artists, the monumental symbolist painter, Emile Fabry and the Fauvist watercolourist, Louis Reckelbus, also made an important impact on the colony, as the range of work produced broadened. 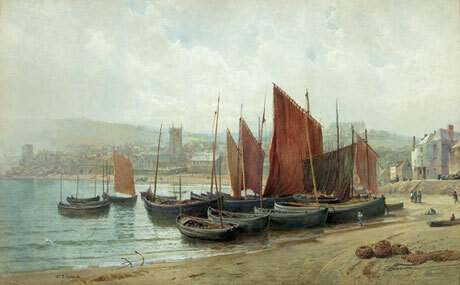 Amongst the British artists in the colony, Claude Francis Barry made an impact with his early pointillist paintings, whilst Louis Sargent’s ever more colourful renderings of the Cornish coast won attention at the International Society. In the early 1920s, the colony was dominated by Charles Simpson, who produced an astonishing number of superlative paintings in a range of genre. Former Olsson students, Borlase Smart and John Park, were amongst others keen to continue the open air painting tradition of the colony, whilst members of the old guard, such as Moffat Lindner, Fred Milner and Arthur Meade continued to enjoy considerable success. The 1920s were also the heyday of the etching market, with Alfred Hartley being recognised as one of England’s leading etchers. Artists, such as Christopher Nevinson and the Australian Sidney Long, have acknowledged their indebtedness to him. The 1920s also saw the growth of the cult of the naive vision and the discovery of Alfred Wallis in St Ives in 1928 by Christopher Wood and Ben Nicholson is seen as a key event in the history of British Modernism. However, the development in St Ives of Wood’s own naive style should not be underplayed. The 1920s also saw the dawn of the colony as a centre for the Decorative Arts, with the establishment in 1920 of the Leach Pottery and the transfer to St Ives of Alec Walker’s textile business, Cryséde, in 1926. Foreign artist visitors include the Americans Henry Bayley Snell, William Chadwick, Frank Ver Beck, Euphemia Charlton Fortune and Wilson Henry Irvine, the New Zealanders Frances Hodgkins, Edith Collier and Francis McCracken, the Australians Charles Bryant and Sidney Long, the Canadian Donald Shaw MacLaughlan, the Belgians Emile Fabry and Louis Reckelbus and the Dutchmen Dirk Smorenberg and Hendrik Jan Wolter.